Today I’m sharing a great post from Jennifer Schreiber, the author of Monday at Jelly Roll Dog Park, a brand new kids book that teaches kids about bullying through lovable characters and beautiful illustrations. I’ll let the author herself tell you a bit more about the story as well as the inspiration behind the book. Preparing to go Back to School keeps us parents busy this time of year with shopping for school supply sales, attempting to squeeze kids into last year’s uniforms and sifting through the stacks of paperwork from administrators and teachers. “Uh oh! It’s the dreaded Contract of Conduct booklet,” I think as I stumble across the attorney-generated manual containing countless pages of behavioral rules and dreaded consequences, written to scare families into compliance. Each year, I quickly scan the booklet to make sure nothing has changed and sigh my life away. On the way to school, I simply say, “Remember to be respectful to everyone, don’t turn your phone on in class, no bad words, cheating is never an option and no bullying!” A “yes mom” or an “I know” accompanies the annual eye roll and sign as my son exits the car for his first day back. “Yay me!” I think. Expectations have now been set and I can check it off the list for a future “I told you so” moment and I’m off to Starbucks to get the cup of coffee I so desperately need. Deep down inside though, something doesn’t seem right as I shout out the Cliffs Notes version of the Conduct manual. I wonder if I have done or said enough to instill the right virtues in my child. Will he represent my parenting well at school? I hope that the many years of bullying discussions have resonated with him; however, I now know that I should have started the dialogue at a much younger age. 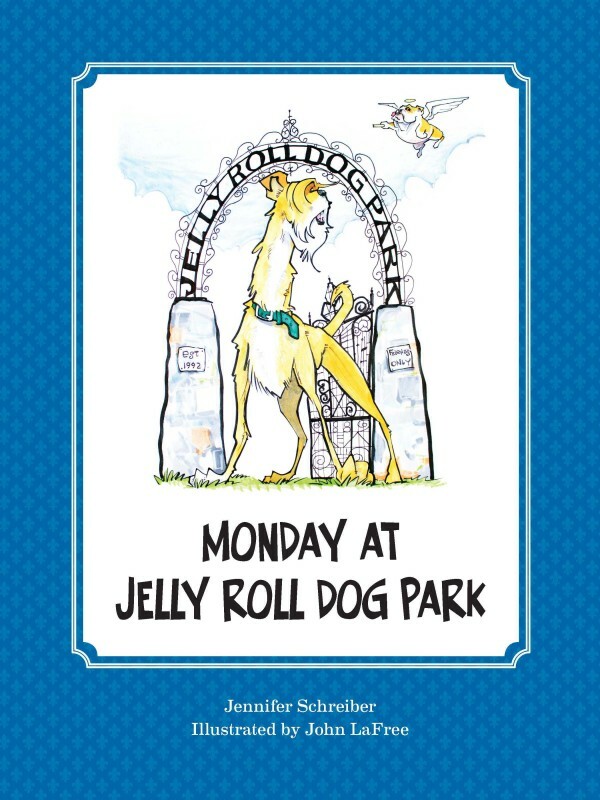 Monday at Jelly Roll Dog Park was written with that goal in mind… to introduce the terminology and concept of bullying to young children and shape the mindset that being cruel is not cool. So many times we go to the doctor to get medication for symptoms we are having, but the doctor doesn’t resolve the underlying problem. Similarly, we are so focused on coaching our children how to deal with bullies (which, may I add, is still very important), that we forget to ensure that our children do not become bullies themselves. We need to address the root cause and instill in our youngest generation that being a bully is not acceptable and increase the consequences for those using such tactics. The book centers around a group of purebred dogs who have been going to their local New Orleans dog park together since they were puppies. One day, they discover a new dog at the park and are trying to figure out his pedigree. After deeming him unworthy of being a friend because he is a mutt, they ostracize him. 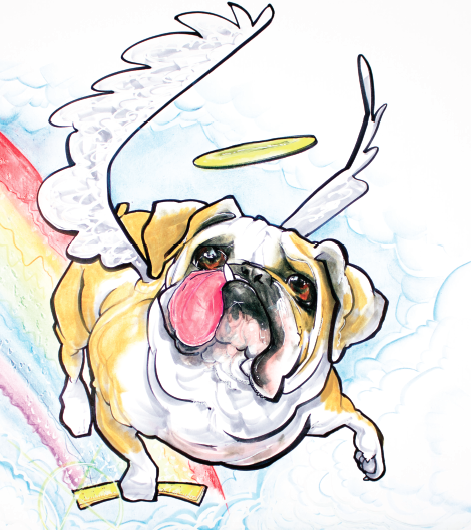 He is then mentored by the park’s guardian angel, an English Bulldog named Daisy Mae. By discovering his own strengths, Muttley is able to discover a new friendship with one of the “in-crowd” dogs who invites him to join the group and reminds them that bullying is not the right way to treat others. Daisy Mae, my best furry friend in real life, never met a stranger and reminded me daily to give everyone a chance. She was my inspiration for the book as her inherent goodness could be a lesson for us all. Just like there “aren’t bad pets, just bad owners,” there “aren’t bad children, just bad parents (or other key influencers).” So whether you find Monday at Jelly Roll Dog Park a useful learning tool or have one of the many other valuable resources available to begin the anti-bullying discussions at the youngest of ages, please help us all get to the root of the problem and reinforce that it isn’t cool to the be cruel, rather we must live by the Golden Rule! After all, peace on the planet begins with peace on the playground. Here’s wishing you a happy, healthy and harmonious school year!!! I love anything that teaches about bullying. It is a huge issue now a days! This looks like it is a great book to own! That looks like a great book. It is so sad there bullying is such a big issue now. This sounds like a really good book for kids. What a great way to talk about bullying through dogs. This sounds like a great book for kids. I will look for this for my kiddos. It sounds like such a good book. Especially for my step son who’s about to attend secondary school. I think all kids should read something like this to make school a happier place. Books about pets are always so moving. This sounds like an interesting read. Thanks for sharing it. Great books for kids and adults too. Love to check this one out soon! Looks like a great book for kids as well as adults. I love the new and creative way to teach even young kids about bullying. If you talk to your children ad nauseum about life, they will eventually come back and talk to you about it. My child just did so today with a story about bullying a girl who just tried to commit suicide. Like I always say, kids copy what they always see and parents are to blame for setting bad examples or uncensored content. This is in tandem with responsible parenting. Unfortunately there are still quite a number of cases where children experience being bullied. I also worry about my kids being good when the new school year starts, but they haven’t let me down so far. They are all very respectful and helpful to teachers. Books like this are so important to let kids see bullying through a different perspective. This is so integral to shaping our childrens future and informing them about important social issues that will allow them to understand others more. This sounds like an awesome book. It’s obviously super timely too! Learning about bullying is so important. This sounds like a great book! Bullying is such a big issue these days and I’d love to teach my grandsons about the important subject. I want to get this very helpful book and teach my son and daughter about bullying. I think it is a good to teach all kid’s to identify bullying and get help in getting it stopped!! I’ll check it out and thanks for sharing! Isn’t it sad we have to teach our young children about bullying at such a young age, but it seems to be the reality.